Julie Green (b. 1961 in Yokosuka, Japan) wanted to be a stewardess until age four, but became a painter instead. 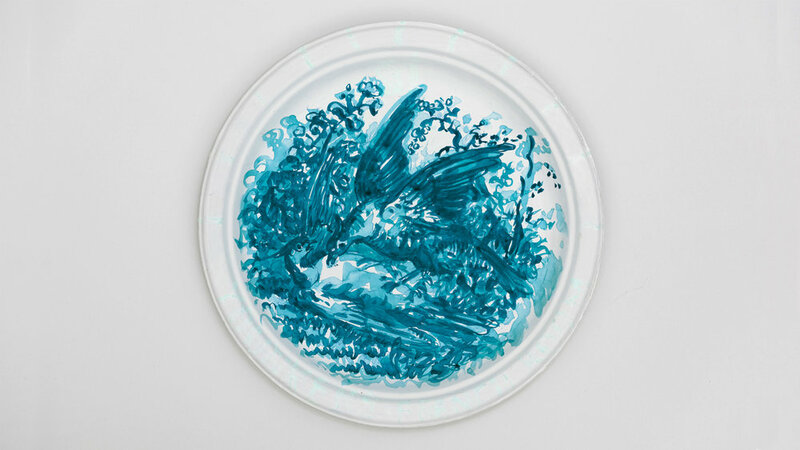 Green often combines humble materials or techniques with art historical traditions, as in Fashion Plate, a series of paintings on carefully prepared paper plates; or in My New Blue Friends, for which Green airbrushed with egg tempera on panel. 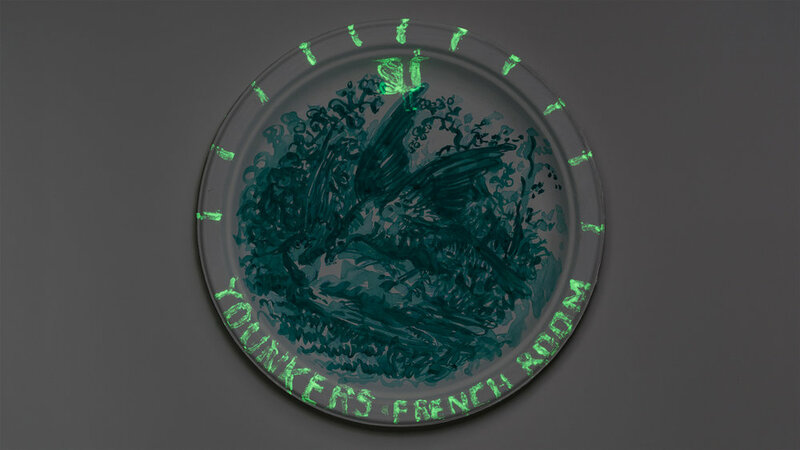 Half of each year, usually in winter months, Green works on The Last Supper, an ongoing project about capital punishment in the United States. Green’s related, new body of work, First Meal, was recently featured by Rolling Stone, NPR and Eater. 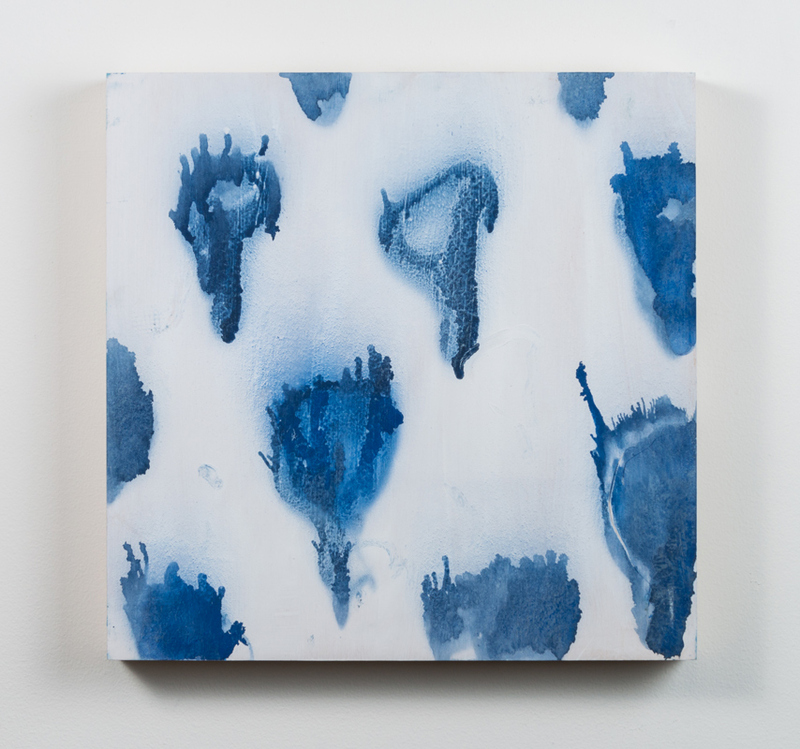 Awarded a 2017 Hallie Ford Fellowship in the Visual Arts from The Ford Family Foundation, Green’s many accolades also include a 2017 Career Opportunity Grant and 2016 Fellowship from the Oregon Arts Commission, the 2015 ArtPrize 3-D Juried Award, and 2011 Joan Mitchell Foundation Painters and Sculptors Grant. Green’s work has featured in The New York Times, a Whole Foods mini-documentary, PBS, Ceramics Monthly, Gastronomica, and 7th edition of A World of Art published by Prentice Hall, and in extensive exhibitions throughout the United States and internationally. Green lives in the Willamette Valley and is a professor at Oregon State University. Recent work is included in forthcoming exhibitions At the Table: Kitchen as Home at the Sun Valley Center for the Arts, ID (December 21 – March 1, 2019) and The Power of Place at Spencer Museum of Art, KS (February 16 – June 30, 2019). Green’s books Picnic Brownies Make Life Easy and Phone Book are available through Upfor Editions.